BIOFREEZE provides "Cryotherapy Pain Relief" which really works, and patients across the world are benefiting from its use. Those who benefit the most from its use are people who suffer from pain associated with work related injuries, sports enthusiasts, arthritis sufferers, the elderly and all who have a tendency to overuse or misuse their muscles. Lightly massage Biofreeze Gel to all sides of sore muscles. 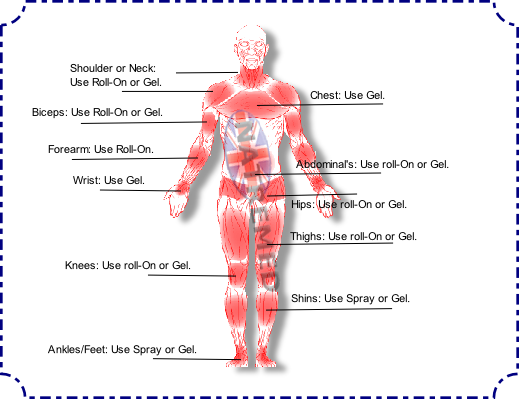 For joint pain, fully coat the area. When flexibility is decreased due to injury or arthritis, massage in and around the joint and continue flexibility exercises. Biofreeze is particularly effective in lessening arthritis, bursitis, and tendentious pain. Finally, a Spray so effective and advanced, you can offer it to your patients with confidence for convenient at home self-care The new Biofreeze Pain Relieving CRYOSPRAY compliments the Biofreeze Gel & Roll-on while delivering a formulation that is the perfect blend of science & nature. Using 100% Natural Menthol & 100% Natural Essential Oils & Natural Extracts the Biofreeze CRYOSPRAY relieves the pain without the burn of other sprays. Using Arnica & White Tea Extracts the New Biofreeze CRYOSPRAY provides the strongest pain relief without a prescription. 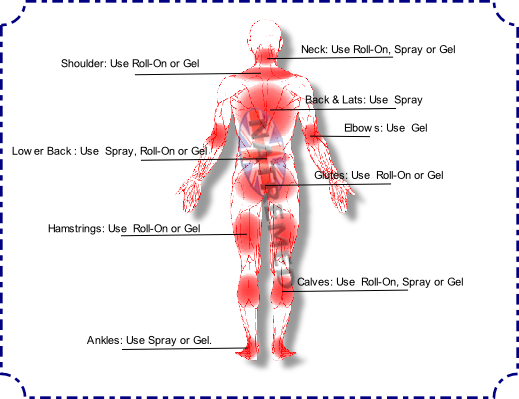 Biofreeze CRYOSPRAY is easy to apply, sprays at any angle and penetrates immediately for deep pain relief. The spray application is the newest way to create a no touch method of application for Biofreeze. Even though Biofreeze through any of the other application methods (Gel or Roll-On) is beneficial for acute pain, the spray is particularly beneficial for acute conditions involving severe muscle spasms of the lower back or acute spasms of the upper back or neck. Biofreeze Spray can be applied pre-treatment to acute areas of muscle spasms to allow for a faster relaxation of muscle involvement and better treatment response. For use in treatment rooms or home use.